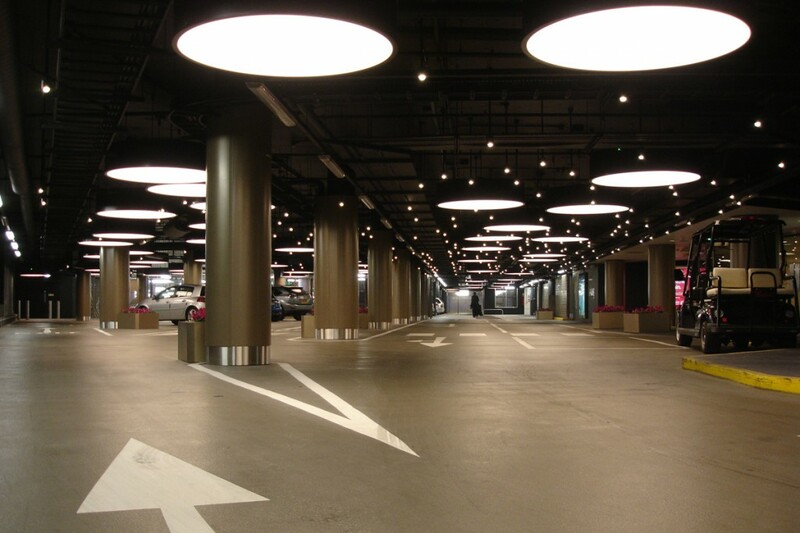 The brief for the lighting in the VIP valet parking area was that the ceiling resemble something similar to the night sky. 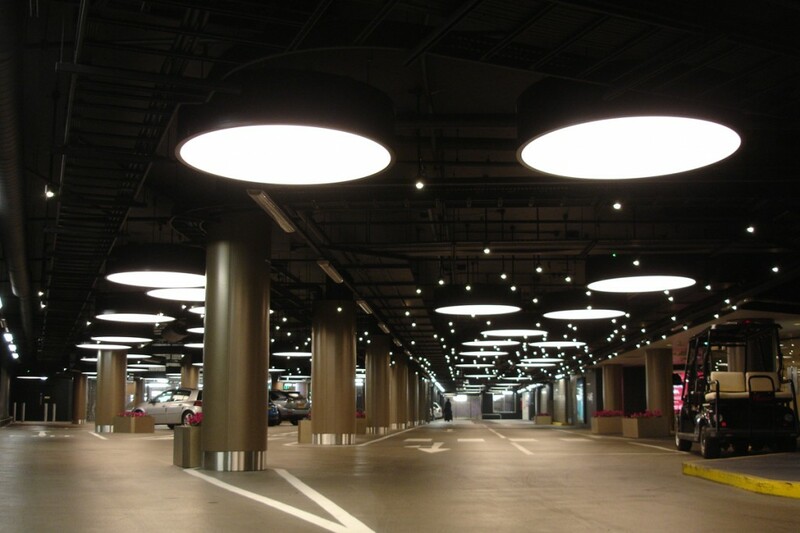 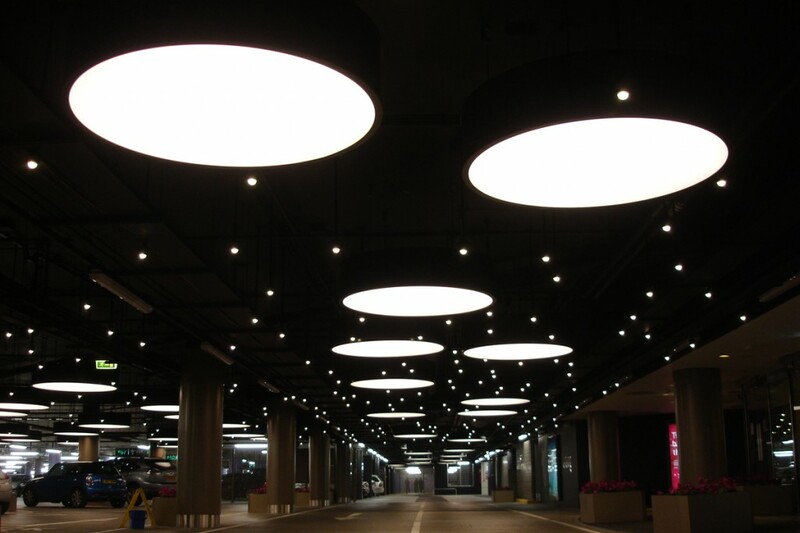 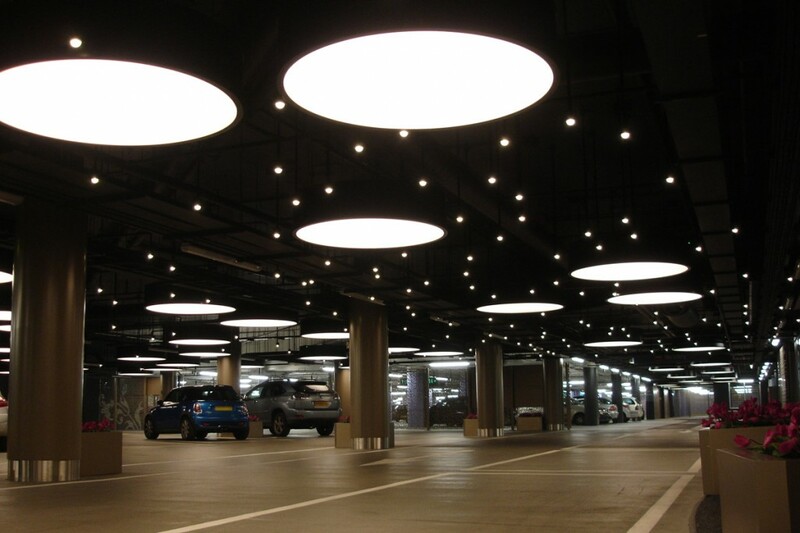 The larger bespoke circular pendants provide the light required in the parking area, and smaller scattered lights create a starry sky effect. 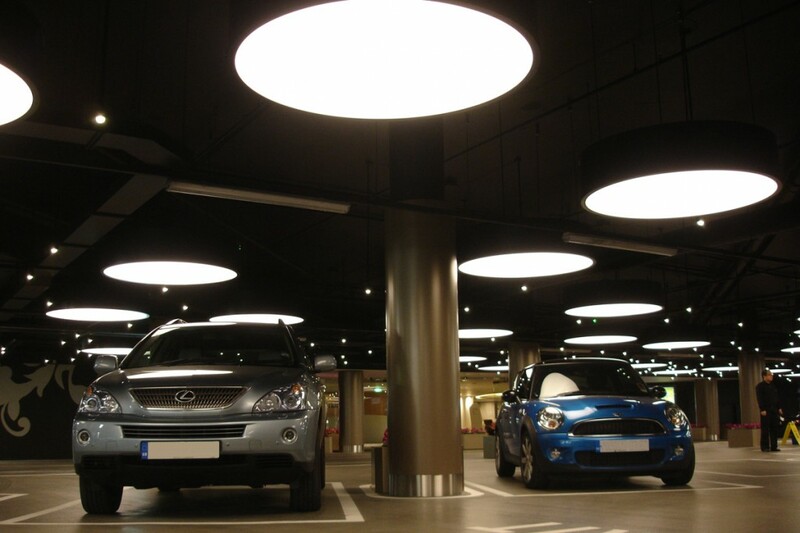 Overall the VIP area of the car park has an impressive show of light which distinguishes it from other areas.